January, you cold beast. There is so much pressure to shake off the rich foods of the holidays and get back into healthy eating patterns. 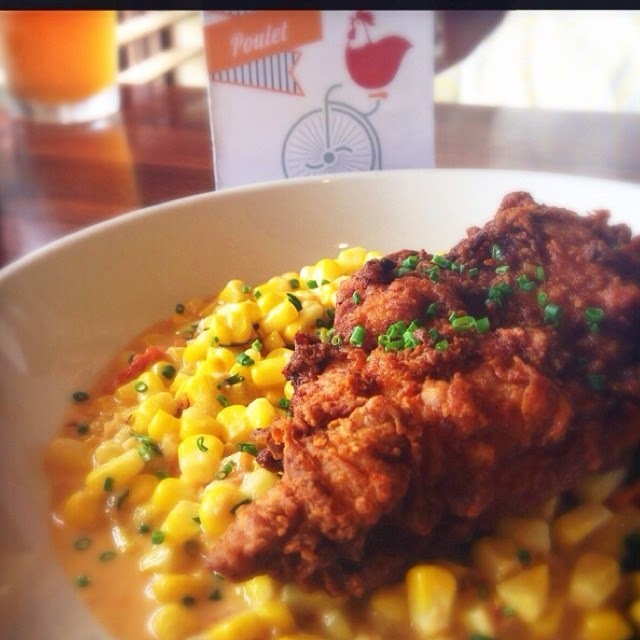 But, it's freezing and dreary and we're still aching for comfort food. We need warmth in our bones. What better for thawing out than soup? 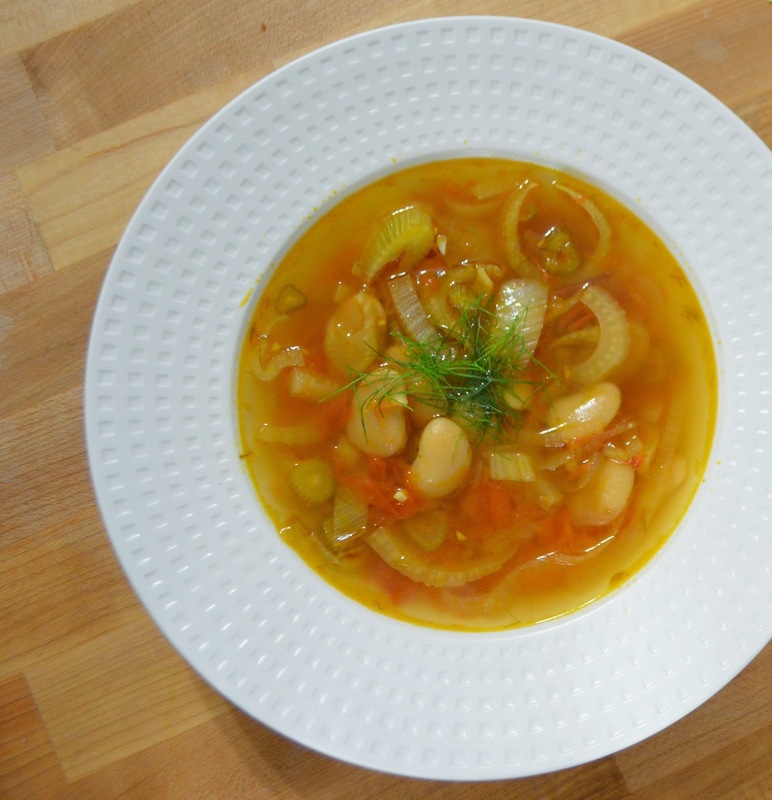 This one is a good balance of hearty, with it's smoky broth and deeply sweet tomatoes, with some sunshine-inducing brightness from the fennel and lemon juice. Slurp the chill away! Pre-heat the oven to 200ºF. Toss the halved tomatoes in 2 Tablespoons of the olive oil, with salt to season. Place in a casserole dish, cut-side down, with space in between. Roast for about an hour until soft and starting to brown and get sticky. Let cool a bit then roughly chop and set aside. In a 5-quart dutch oven or heavy large saucepan, saute the fennel and onion in 1 Tablespoon of olive oil, with salt to taste, until soft and starting to brown. Add the slow-roasted tomatoes and minced garlic and stir and cook another 2-3 minutes. Splash in the white wine to de-glaze, scraping up all the brown sticky goodness from the bottom of the pan. Stir in the broth and bring to a simmer. Add the beans and let cook at a low simmer for at least 20 minutes, up to 30 minutes. Taste for seasoning. 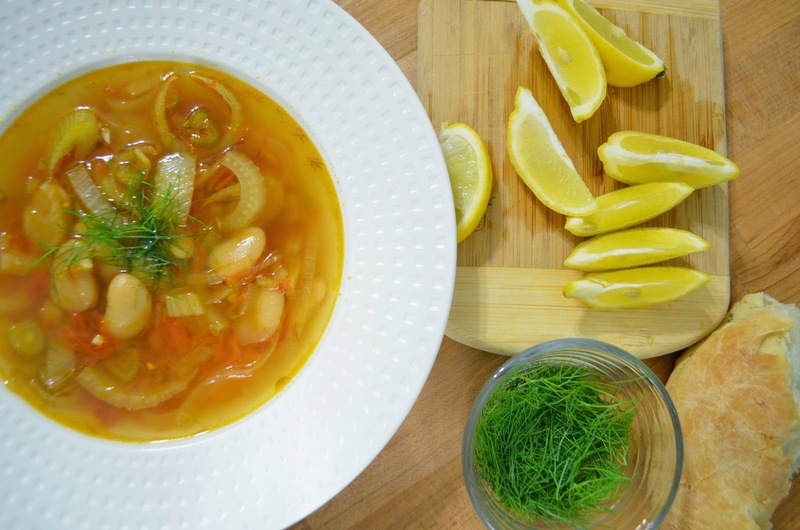 Serve hot with fresh lemon wedges to squeeze over the soup, fennel frond garnish and warm, crusty bread. And wine, duh. 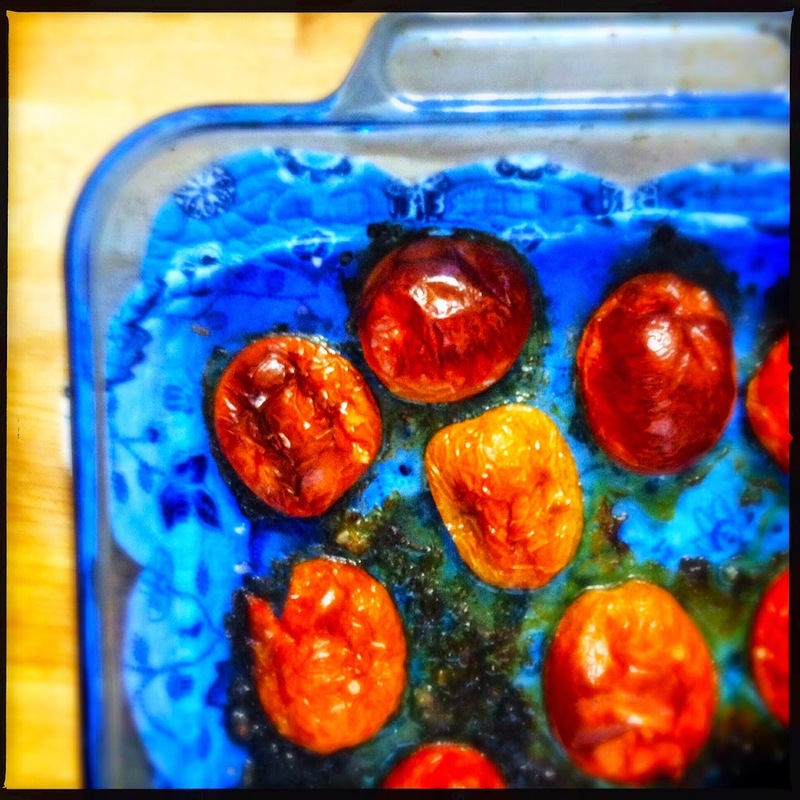 Slow-roasted tomatoes are an easy way to make sad winter tomatoes sweet, flavorful and pretty. Place the chicken and turkey tails in a large stock pot and cover with water by about 2 inches. Bring to a low boil, then turn the heat down and add all the vegetables. Let barely simmer for 2-3 hours (the longer the better). Strain out and discard all the solids. 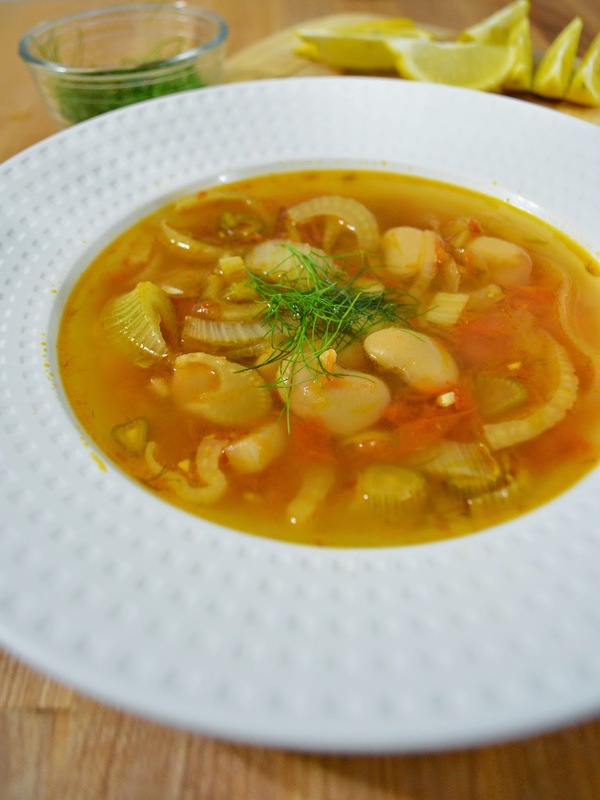 Use for soup and store the rest in the refrigerator for up to 2 weeks or in the freezer for months. What would you do with this leftover broth? Share your ideas in the comments! 2014 - This blog's 10th anniversary. 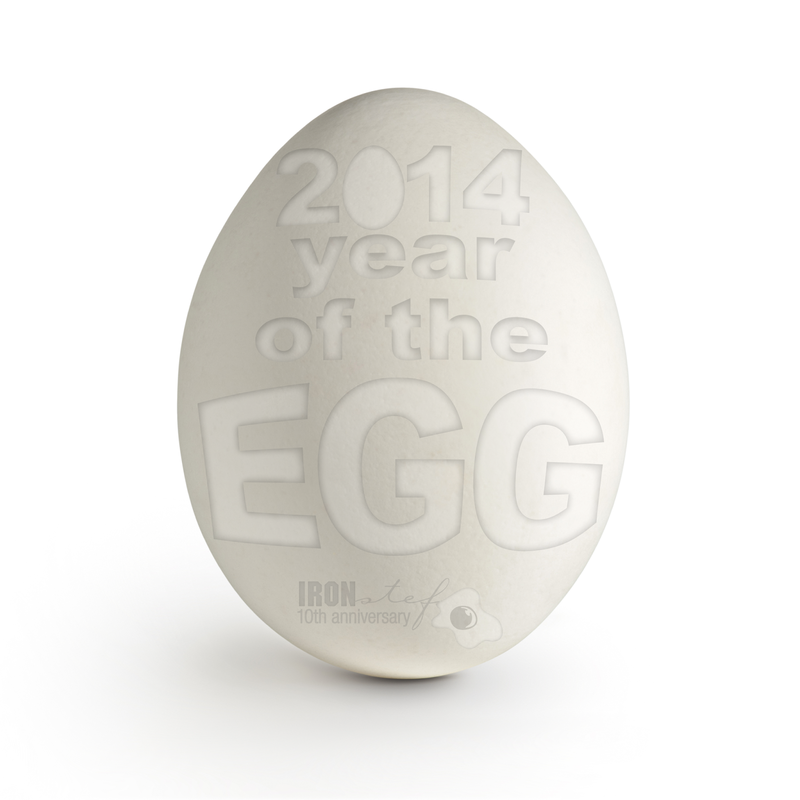 The Year of The Egg. I had high hopes you guys, I did. 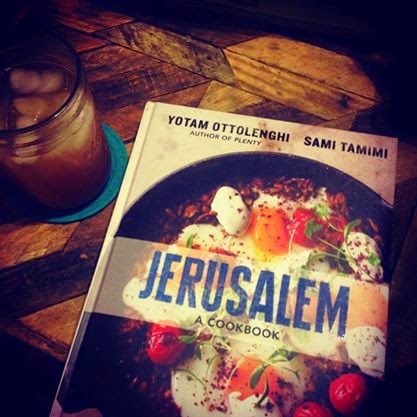 It was to be an epic year of blogging and growing as a cook (eggs are they key to a LOT of techniques in the kitchen.) Welp.... I looked back through my posts to pick out the best of and... I only posted 13 times in 2014. Fail? Blogging-wise, I think so. Life-wise, though? 2014 was one of my best years yet. Maybe life got a bit in the way of this blog. I'm kind of sad about that... only kind of. I would not trade this year in for the world. I went to 2 awe-inspiring countries, made my new house more of a home, became an aunt again, met one of my heros, had big satisfying belly laughs with my loved ones. So yeah, blogging kind of took a back seat, but trust me, food and beverage was always a part of it. Instagram was also always a part of it. Duh. When whining about my lack of posts to "look back on" from 2014 on twitter, several wise tweeps suggested I post about some of the 2014 moments that never made it to the blog. I looked back though my photos, and there was indeed a plethora of bloggable situations that went un-written. So here we go... a look back at some of my favorite 2014 experiences that didn't get properly documented. 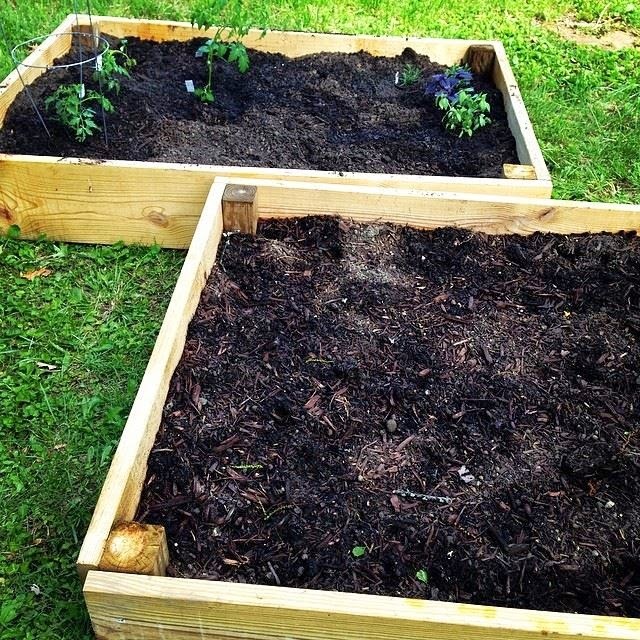 In 2014 I finally started a garden! Some strapping hunks built a couple of 4x6 raised beds for me, which I filled with a parfait of soils and mulch. I planted seedlings in one bed, and the other bed was all straight from seeds. The garden was successful, growing-wise. My tomato plants were gorgeous... unfortunately the squirrels thought so, too. I got to eat about 4. Radishes, on the other hand, from seed, were a delightful surprise. 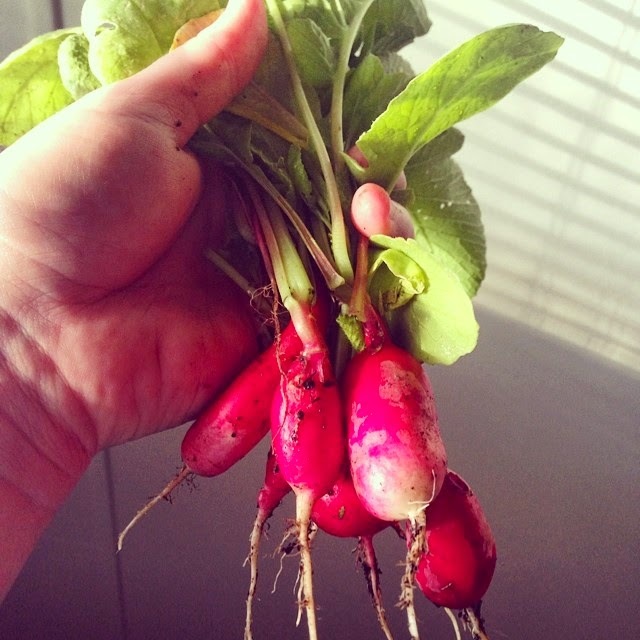 So easy to grow and harvest and SOOO much more delicious than grocery store radishes. Yep, radishes were my favorite thing to grow... so far. 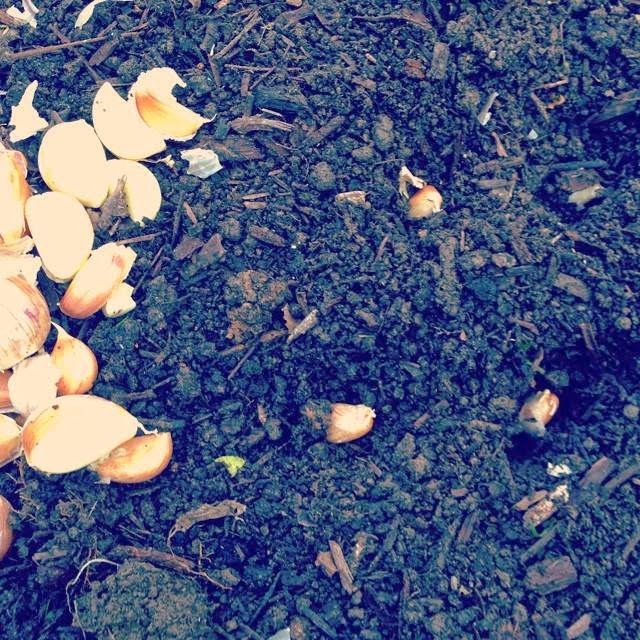 I say so far, because I planted some garlic cloves at the end of October, which will (hopefully) produce home-grown garlic heads come spring 2015. 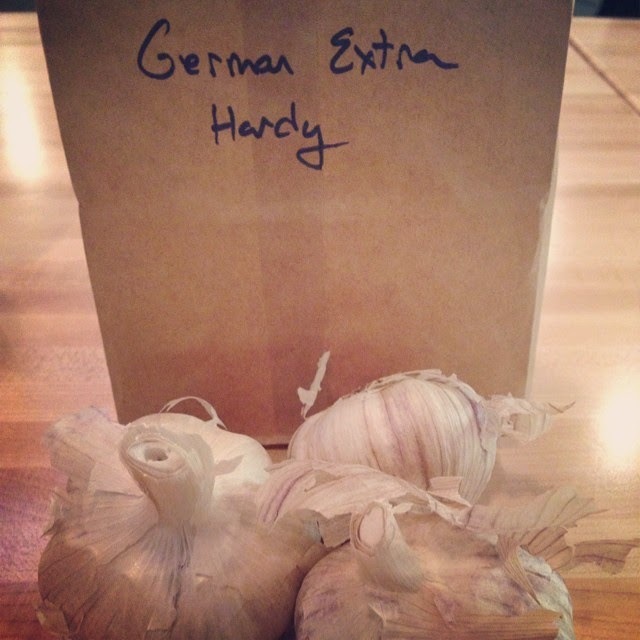 I am super-excited for the garlic, and the scapes which are the stems you have to trim off the sprouting garlic before you harvest it. The best pesto I made in 2014 was from some farmer's market garlic scapes. 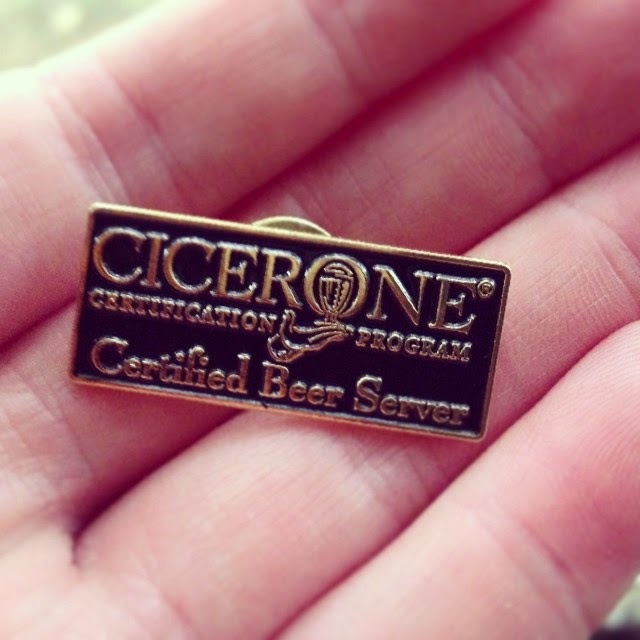 In 2014, I became a Certified Beer Server in the Cicerone Program. Yup. See? I got a pin and everything! What a fun process. I'm fortunate that the company I work for encourages food expertise, and offered the class and test fees for free. 8 weeks of classes, 2 books and a 30 minute test, and BOOM. I have another good excuse to drink more beer... continuing education, you guys. Seriously, it was very cool to learn about the history of beer, the brewing process, all the different styles... beer information is endless, and fun to collect. Speaking of beer (mmmmmmmm..... beer), I had lots of good ones in 2014. 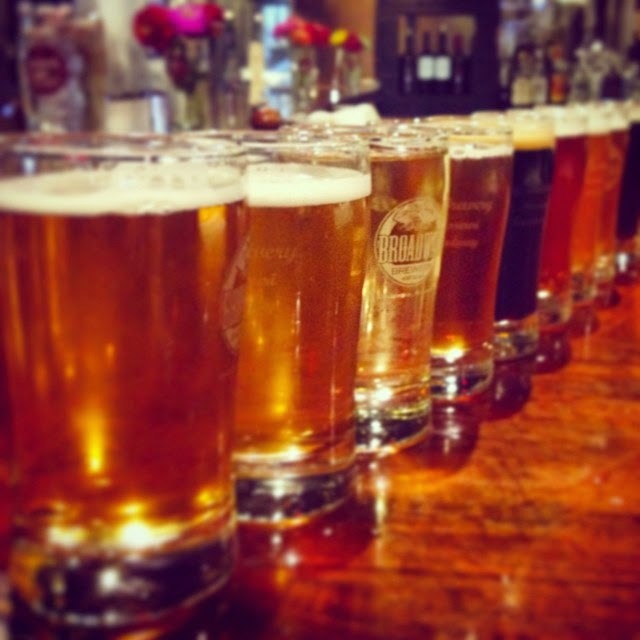 One particular road trip, to Columbia, MO, was particularly beer-centric. The college town is less than 2 hours away from St. Louis, so It makes for the perfect last-minute weekend getaway. We visited 3 breweries and had some very good eats there. The breweries: Flat Branch, Logboat & Broadway. Logboat is the newest one in town, and they happened to be having a release party on the last day we were there... the beer they were releasing was a collaboration with one of my favorite STL breweries, 4 Hands! 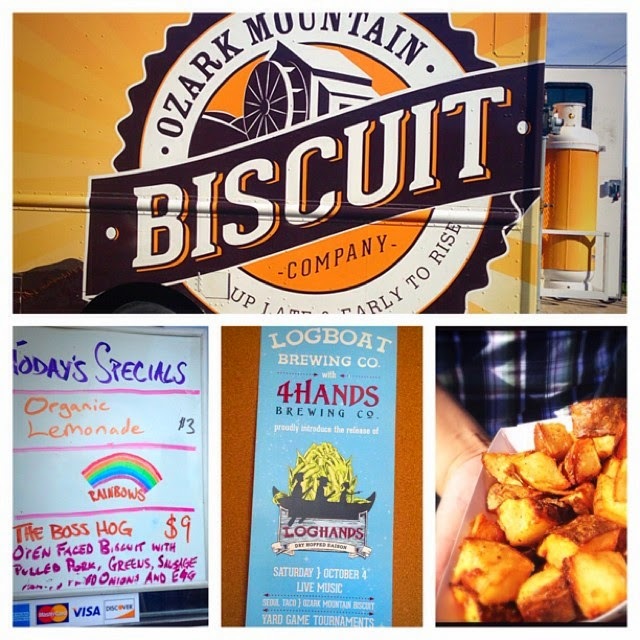 That party was where we discovered the Ozark Mountain Biscuit Company... A BISCUIT FOOD TRUCK OMGWTFBBQ. Yes, we tried to convince them to follow us back to St. Louis. 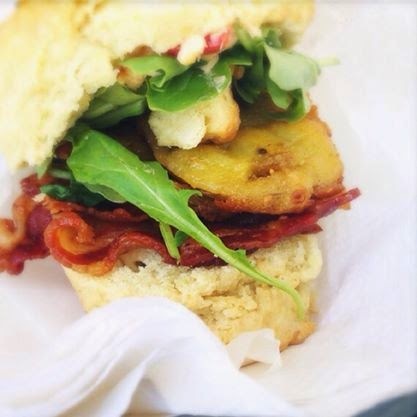 Lookit this fried green tomato and bacon biscuit. We also ate at Sycamore, a restaurant specializing in fresh, local fare, that I highly recommend. Not something I expected in a college town in the middle of Missouri. I should've known better! Flat Branch Flight. 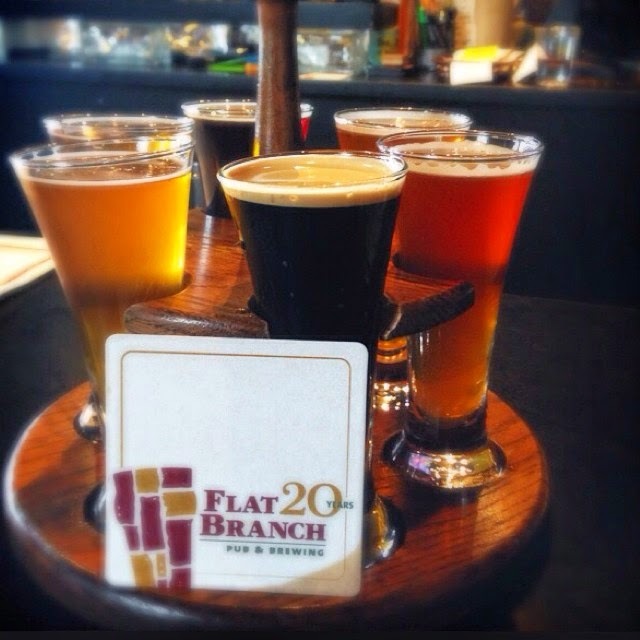 Happy 20th birthday, Flat Branch! Speaking of biscuits (I am on a roll with these segways, aren't I?) B and I completes the Tour de Poulet. I think we were the only ones in the city who were able to complete it, actually... 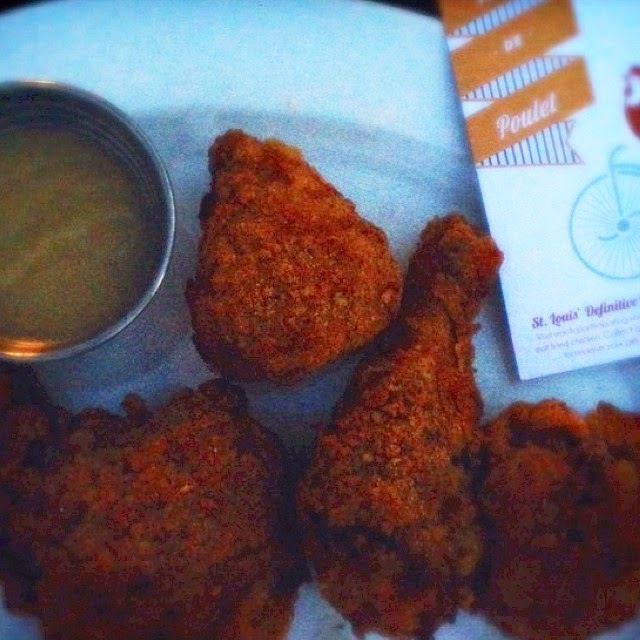 The Tour De Poulet was basically a tour of some of St. Louis' finest fried Chicken. 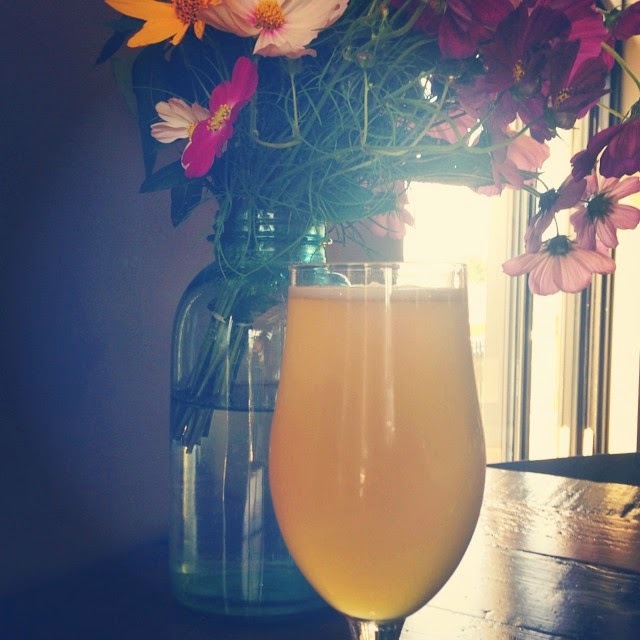 Home Wine Kitchen, Juniper, Cleveland Heath, Three Flags Tavern, Farmhaus, Element and Quincy Street Bistro. 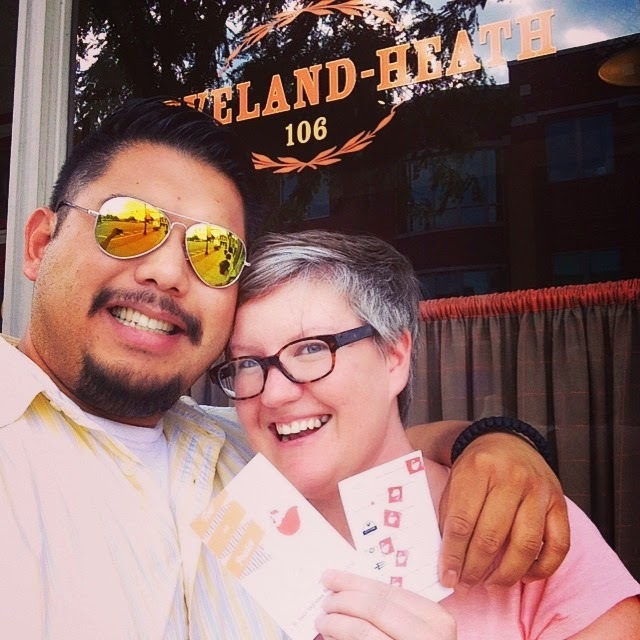 We had the month of August to eat fried chicken at all 7 places, which earned us a sticker. Once we had all 7 stickers, we were entitled to some free drinks/desserts for return visits to these places. It wasn't even about the rewards, though, really ( I think I only cashed in 2). These are 7 of the best restaurants in St. Louis, so it was a pleasure to get to try all of their delicious and diverse fried chickens. Fried Chicken at Three Flags Tavern. One of the best! 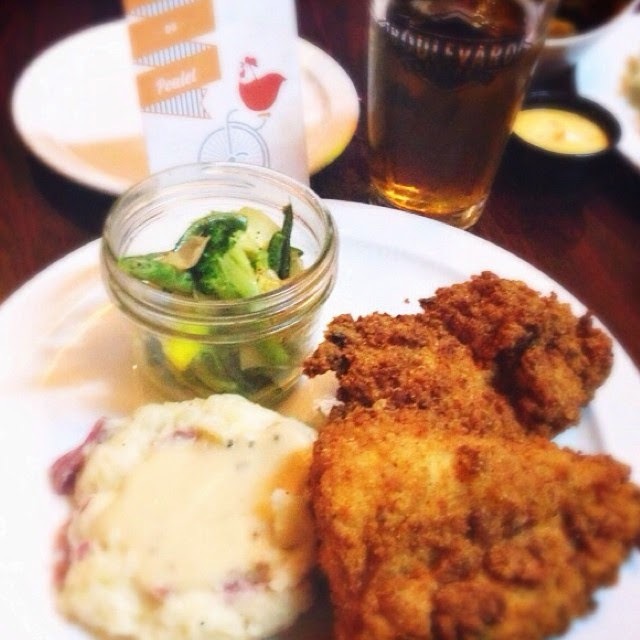 Cleveland Heath's Fried Chicken appetizer. So perfect. Honored to have designed the logo for this "Best New Restaurant." Speaking of... I got nothin. I think I mentioned making my new house a home. Here's one of my favorite projects. 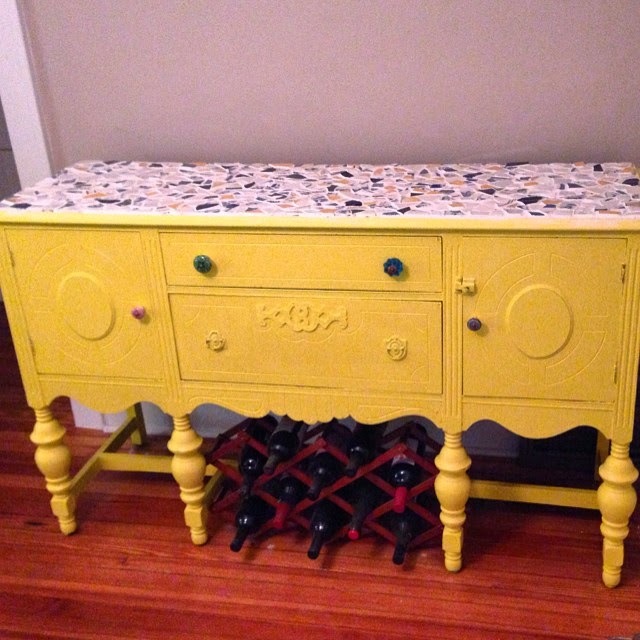 I painted and "tiled" an old beat up buffet that was sitting in my mom's basement. 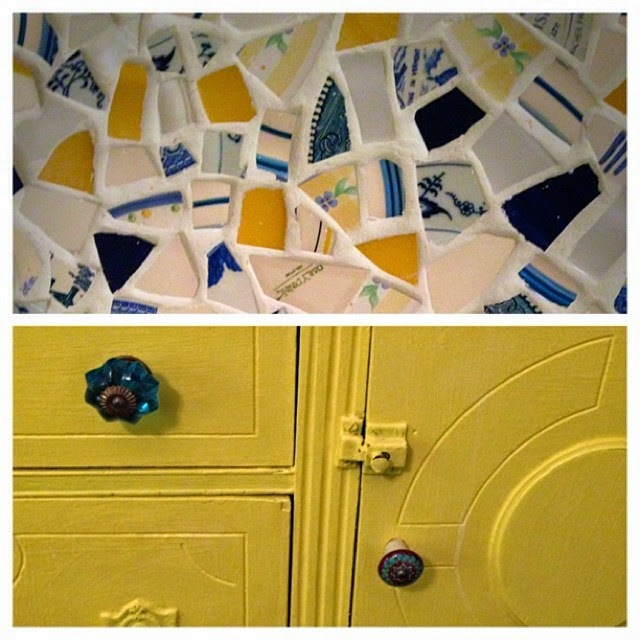 I used broken plates to mosaic the top of the buffet, and painted the rest a bright sunshiney yellow. 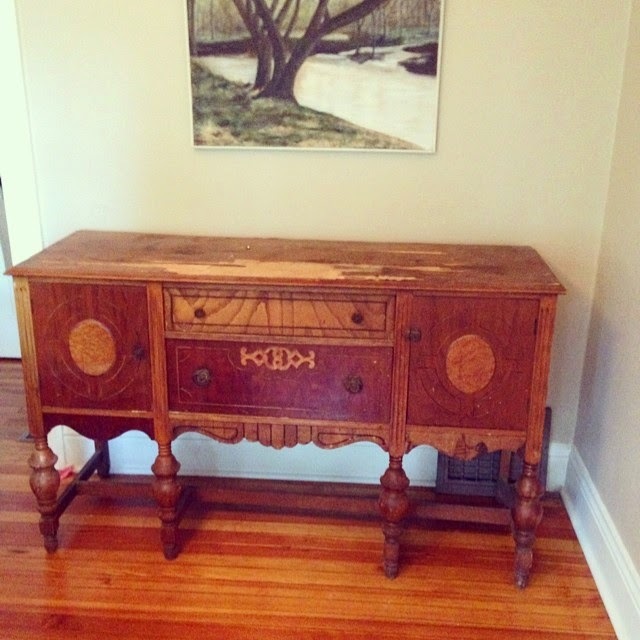 I love how it looks in my dining room, and I love the extra storage for platters and booze. Speaking of books... 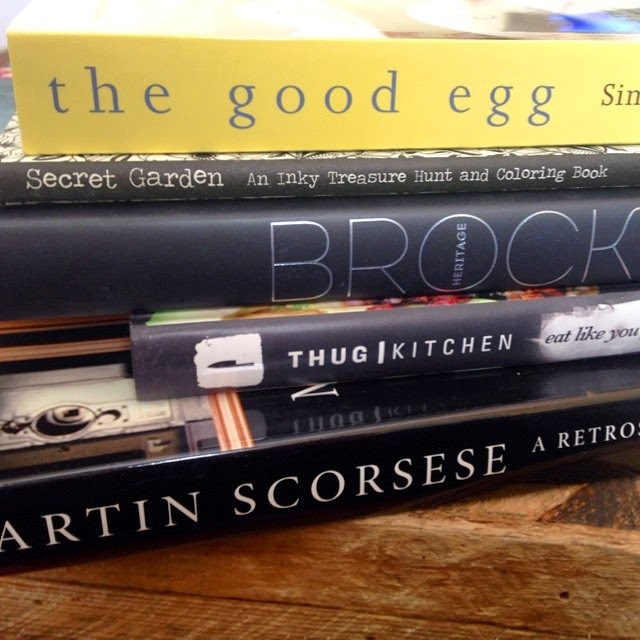 I gotta get reading! Happy 2015!! Thanks for reading!